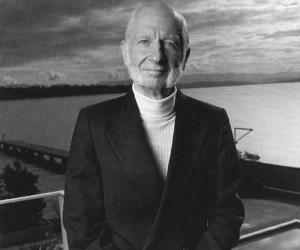 George Ohm is founder of the concept known as Ohm’s law. Explore this biography to get details about his life and works. 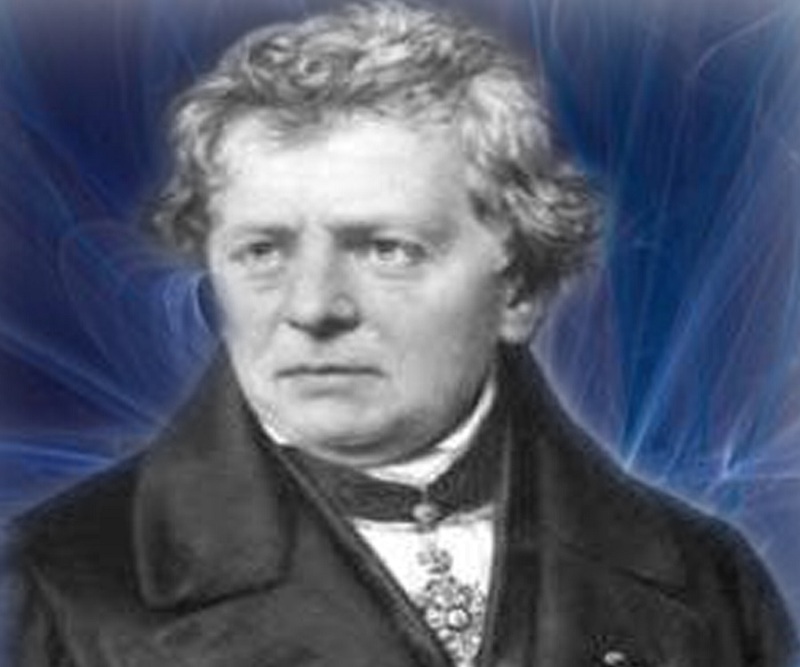 A German physicist and mathematician, Georg Simon Ohm is best remembered for his formulation of Ohm’s Law, which defines the relationship between electrical resistance, electric force and electric current. This was an important discovery made in the field of science as it symbolized the true beginning of electrical circuit analysis. What is interesting to note is that Ohm wasn’t the only scientist who was trying to develop this relationship. There were many other researchers, prior to Ohm, who tried to establish the relationship but failed. Ohm, with his philosophical arguments and physical reality of experiments proved his hypothesis. Just like other scientists, his idea too was rejected but Ohm was not the one to be disheartened. His strong will power backed his research which later was not only accepted but made a law in physics. To know more about this ingenious scientist, browse through the following lines. Coming from a family of Protestants, Georg Simon Ohm was born to Johann Wolfgang Ohm and Maria Elizabeth Beck. While his father was a locksmith, his mother was the daughter of a tailor. 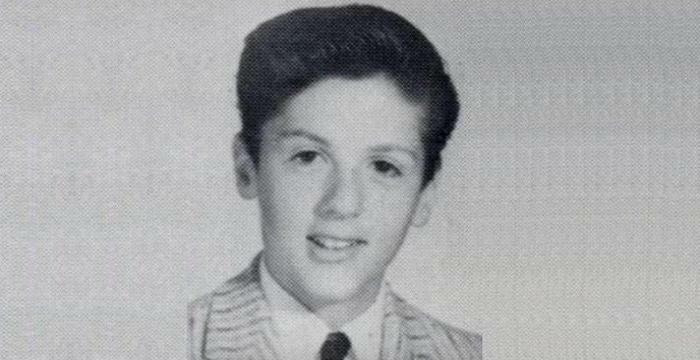 Though his parents did not have any formal education, this did not stop his father from educating himself. And not just educating himself, Johann even educated his children through his own teachings. 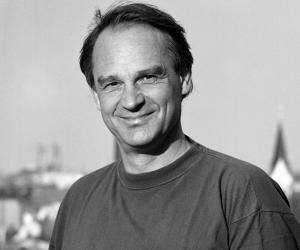 Ohm had two siblings, his younger brother Martin, who later became a well-known mathematician, and his sister Elizabeth Barbara. Georg, along with his brother Martin, trained himself in mathematics, physics, chemistry and philosophy at such a high standard that his formal education seemed to be valueless and uninspiring. At the age of eleven, Georg enrolled himself in Erlangen Gymnasium, where he continued his studies, until he was fifteen. However, this phase of learning, as mentioned above, wasn’t a very motivating one, for all that the education centre stressed on was rote learning and interpretating texts. Such was both the brothers’ intelligence quotient that Karl Christian von Langsdorf, professor at the University of Erlangen, compared the two to the Bernoulli family. Georg Ohm had excelled in his private studies so much so that his own studies prepared him for his doctorate degree. Ohm received his PhD degree from the University of Erlangen on October 25, 1811. Immediately thereafter, he joined the department of mathematics as a lecturer. However, this did not continue for long as Ohm left his position three months later due to less growth opportunity. Since Ohm was poverty stricken, the meagre salary that he received from the university did not do much to uplift him from his pitiable state. Next, Ohm took up the job as a teacher of mathematics and physics in Bamberg offered to him by the Bavarian government in 1813. However, unsatisfied with this too, Georg began writing an elementary textbook on geometry as a way to give vent to his abilities. In 1816, the school in which Ohm was teaching was shut down and Ohm was posted to another overcrowded school in Bamberg as a teacher of mathematics. The following year, in September 1817, Ohm was offered a position of a teacher in mathematics and physics at the Jesuit Gymnasium of Cologne. The opportunity was an excellent one, as not only was the school better off than any other in which Ohm had taught, it also had a well-equipped laboratory. During his years as a teacher, Ohm, however, did not give up on his private studies and continued reading texts of the learned French mathematics, Lagrange, Legendre, Laplace, Biot and Poisson. Later, Ohm read the works of Fourier and Fresnel as well. Simultaneously, Ohm started his own experimental work in the school physics laboratory, after he learnt about Oersted's discovery of electromagnetism in 1820. These experiments that Ohm undertook were only as a measure to uplift his educational standard. Also, Ohm realised that if he wanted to attain a job that really inspired him, he had to work on research publications, for that was the only way he could prove himself to the world and have something solid on which he could petition for a position in a more stimulating environment. Ohm submitted a paper in the year 1825, which dealt with the decrease in the electromagnetic force produced by a wire as the length of the wire increased. The paper was purely based on the experimental evidence that Ohm had charted from his tests and trials. Later the next year, Ohm presented two more papers in which he presented a mathematical description of conduction in circuits based on Fourier's study of heat conduction. The second paper was particularly an important one for in it, Ohm proposed laws which explained results of others working on galvanic electricity. It is also deemed to be a significant paper as it was the stepping stone for what we today know as Ohm’s law that came in the book published the following year. In 1827, Ohm published his famous book, Die galvanische Kette, mathematisch bearbeitet, wherein he gave a detailed explanation on the theory of electricity. What is interesting to note in the book is that Ohm, instead of jumping directly onto the subject, gave a mathematical background necessary for an understanding of the rest of the work. This was essential, for even the most learned and educated German physicist, required such an introduction as the approach to physics in the book was a non-mathematical one, a phenomenon unheard of in those days. According to Ohm’s theory, communication of electricity occurred between “contiguous particles”. In addition to this, the paper also illustrated the difference in the scientific approach of Ohm from that of Fourier and Navier. Ohm, who was given a year off by the Jesuit Gymnasium of Cologne at half pay, to concentrate his research in 1826, had to resume work in the September of 1827. During his year off that he spent in Berlin, Ohm all through believed that his publication would definitely earn him a better position at some reputed university, but the same did not happen and Ohm, reluctantly, resumed his post at Jesuit Gymnasium of Cologne. What was even worse was the fact that despite Ohm’s work was strongly an influential one, it was received with almost no enthusiasm. Deeply hurt by this, he decided to shift base to Berlin. 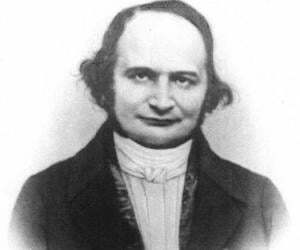 As a result, Ohm formally resigned his position in March 1828, and took up a temporary work teaching mathematics in schools in Berlin. In 1833, Ohm accepted the position of a professor at the Nuremburg. Though this gave him the title that he so much desired for all his life, he was still not satisfied. Ohm’s hard work and peseverance was finally realised in 1842, when he received the Copley Medal award by the Royal Society. 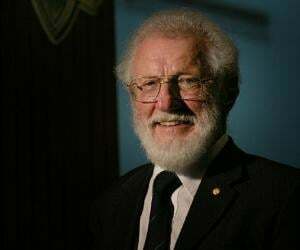 The following year, he was appointed as the foreign member of the Royal Society. In 1845, Ohm became a full member of the Bavarian Academy. Four years later, he took up a post in Munich as a curator of the Bavarian Academy’s physics cabinet and gave lectures in the University of Munich. It was only in 1852 that Ohm was designated for the chair of physics at the University of Munich, a position that he had been craving and striving for all through his life. 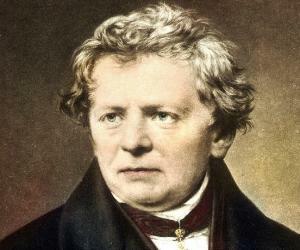 Georg Ohm breathed his last in Munich in the year 1854. He was interred in the Alter Südfriedhof. Not much is known about what caused the death of Georg Ohm. His name has been used in the terminology of electrical science in Ohm’s Law. Additionally, the SI unit of resistance, the ohm (symbol Ω) also adopts the name of this ace physicist. Offered a position of a teacher in mathematics and physics at the Jesuit Gymnasium of Cologne. Became a full member of the Bavarian Academy.